How stinkin’ cute are these you guys? You’ll never believe what I used to make them. You know I’m all about saving a buck when it comes to entertaining and I’m going to show you just a how I do that for my game day parties. 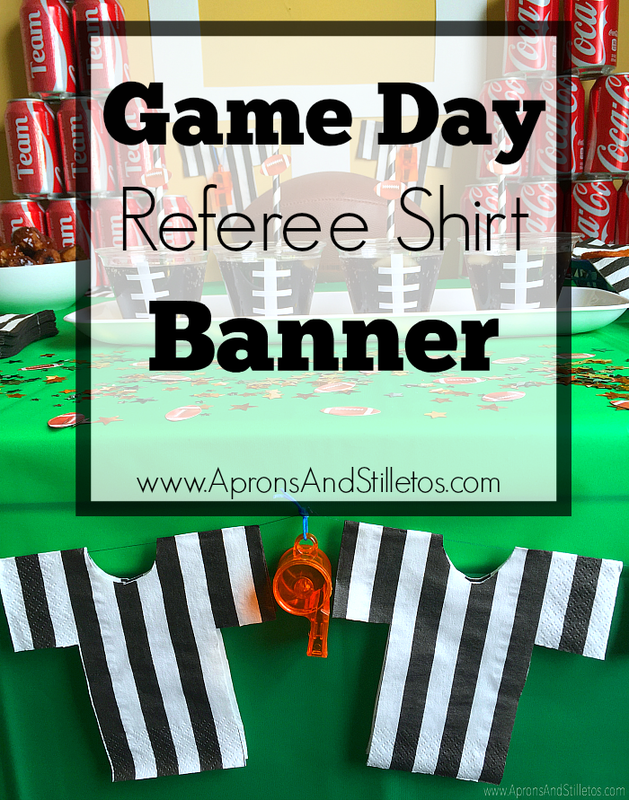 When it comes to parties, I like to create an experience for my guest by planning themes, so of course I’d include referee apparel in my football party decor. These were so easy to make and cost less than a $1. 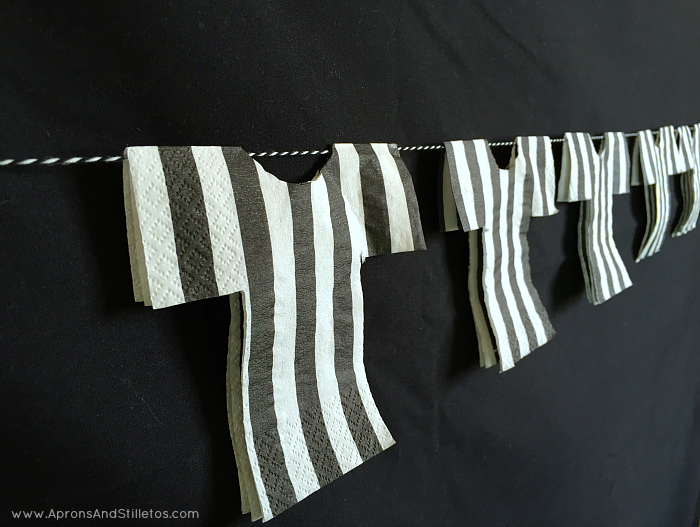 To make these Referee Banners all you need are square black and white striped napkins, a pencil and scissiors. 1. To start lay your napkin on a flat surface with the line in the vertical position. (that’s up and down) Make sure the crease part of the napkin is at the top. 2. Now where the crease is, draw a semi-circle. 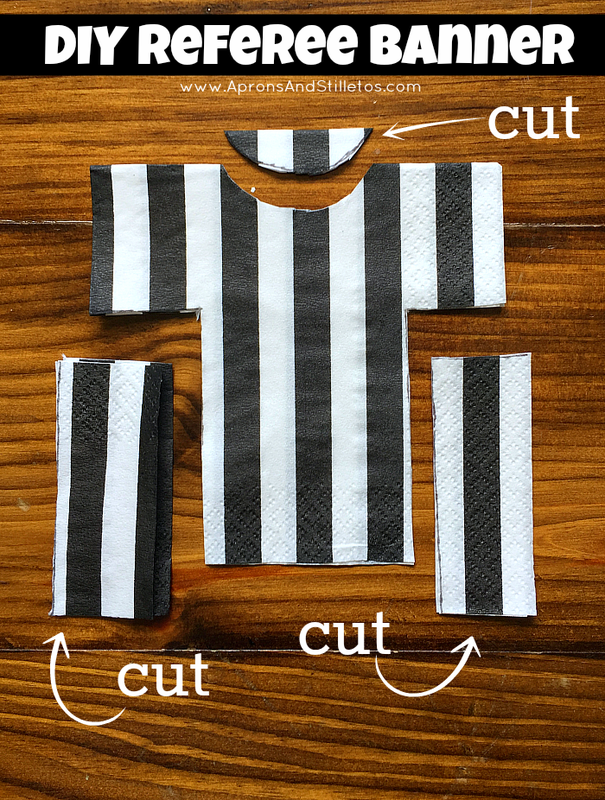 This will serve as the opening for the Referee shirt. 3. Next, draw a vertical rectangle on the bottom left and right sides of the napkin. You’ll need to make a few of them to create the banner perfect for your party. You can even embellish the banner with whistles to make it look even more game day-ish!! 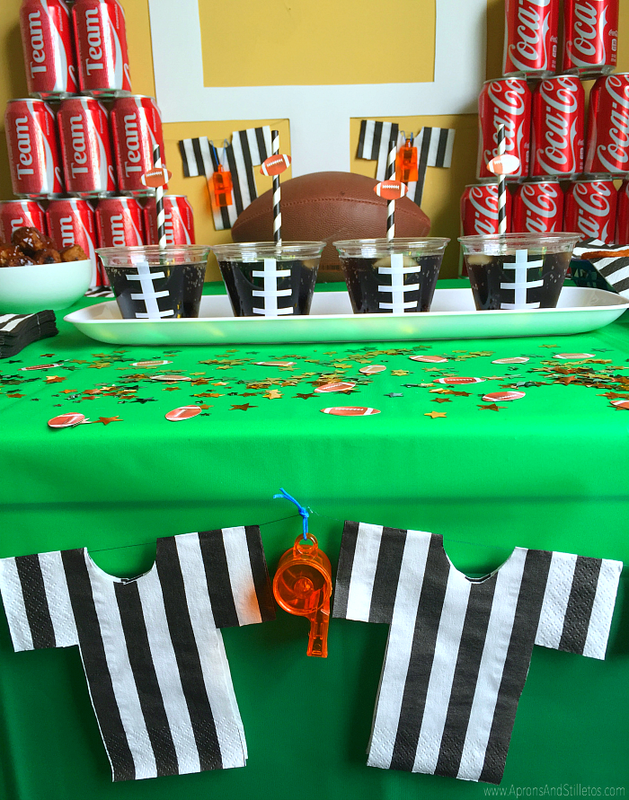 I hope you enjoyed this super easy tutorial and if you want more ideas from my last football party click here. I just turned off my cable today so I just realized we won't be watching the big game next Sunday.